We hope you enjoy your Holidays! Stop on in this week for our Inventory reduction sale! All in stock Merchandise will be on sale 25% off the original price this week! Stop in this week for your last chance to enter. Receive 1 entry for every $20 you spend. Help us reduce the number of dies we have to count in January! All dies (in Stock) are 20% off the regular price this week. Visit us soon for the best selection. We are continuing our weekly gift certificate raffle. 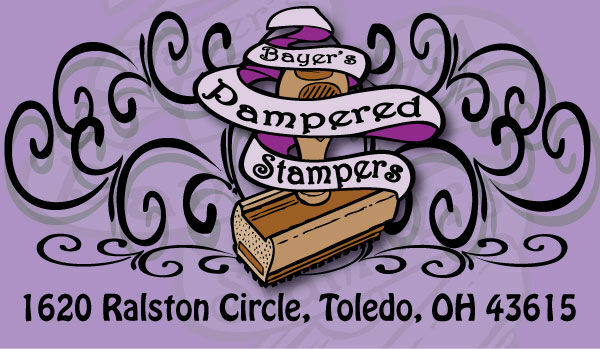 For every $20 you spend in December you will be entered in a drawing for a $25 gift certificate. There will be a new drawing every week. 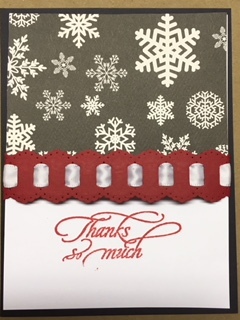 Voting started Tuesday Dec. 5 for our annual Christmas Card Contest and continues until Dec 19. Winners will be announced at the Christmas Party Dec 19th. If you are interested in registering for our gift registry, just email or call us with your list. Then when they ask you what you want for Christmas, tell them we know what you want! And remember, We Sell Gift Certificates! 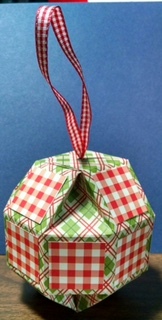 Join us for our free demo Tuesday, December 12th at 630pm when Marilyn Kayne will demo a cute paper ornament! 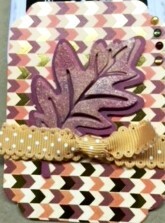 Did you make something using the Nuvo Glimmer paste? Bring it in to show us and you will have a chance to win a small prize. We are trying a new advertising program through “Yelp”. As part of the program, Yelp will be shooting a short video featuring the store and some of our customers. This will take place Tuesday,Dec 12 about 530pm. Some video will be shot during the demo. I hope to have a good turn out. Please don’t stay away because of this….Nobody will be filmed if they don’t want to be. If you are willing to say a few nice things in the camera, let me know. Save the date! We will have our annual White Elephant/Christmas party on Tuesday, December 19th at 6pm. It is always a fun time. 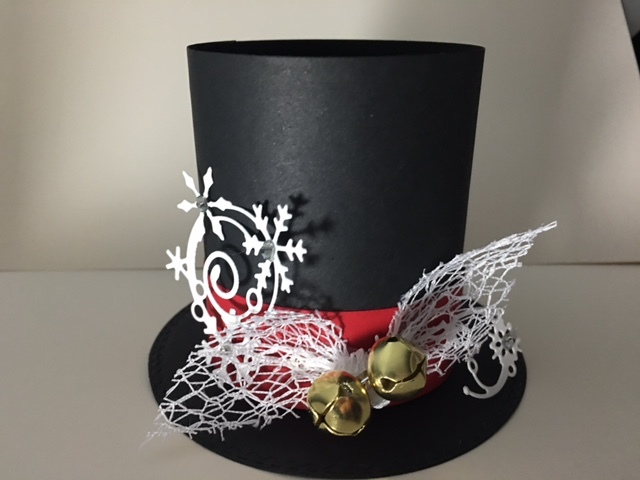 We will be making a cute “Top Hat” party favor(holds candy) We’d like to get an idea of how many of you might attend so we will have enough kits, please let us know if you think you will be there…..if you don’t make it, thats ok, we’d rather have too many than too few. Bring a treat to share if you are so inclined. Everyone brings a wrapped crafting item worth $20 to exchange. (you don’t have to pay $20 for it, but it needs to be worth $20).Can you say “clearance sale”? Join us for our Make & Take this Thursday 1-5pm or Saturday 1230-330pm. 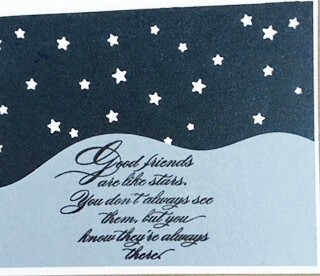 Just $1 per card, limit 3 of each design.Beginners welcome.Pictures will be posted on FaceBook on Wednesday.